I always feared this blog would go down the drain once I’d passed the halfway mark. So I thought I’d embrace the inevitable, and celebrate the finest drain of them all. 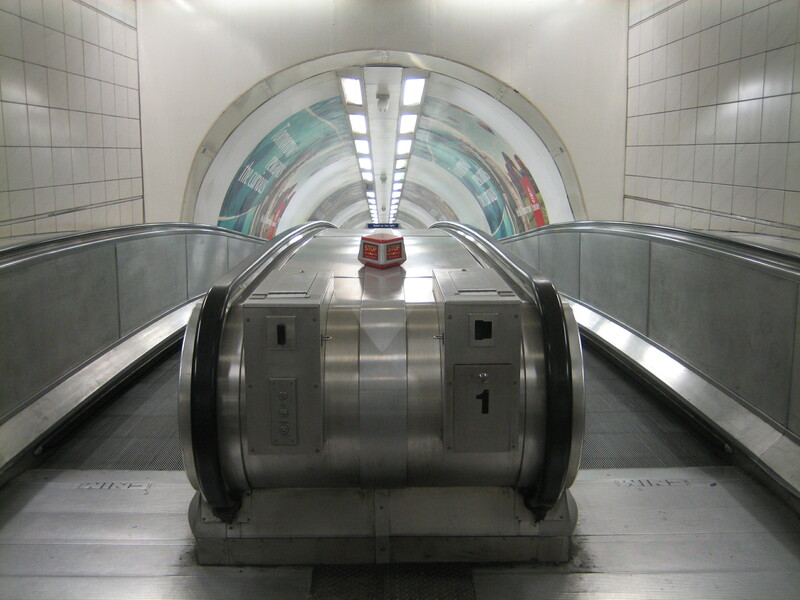 In the words of Pathe News, it’s a big welcome to the travelator! It’s Britain’s oldest, and – by virtue of its location and purpose – its best. 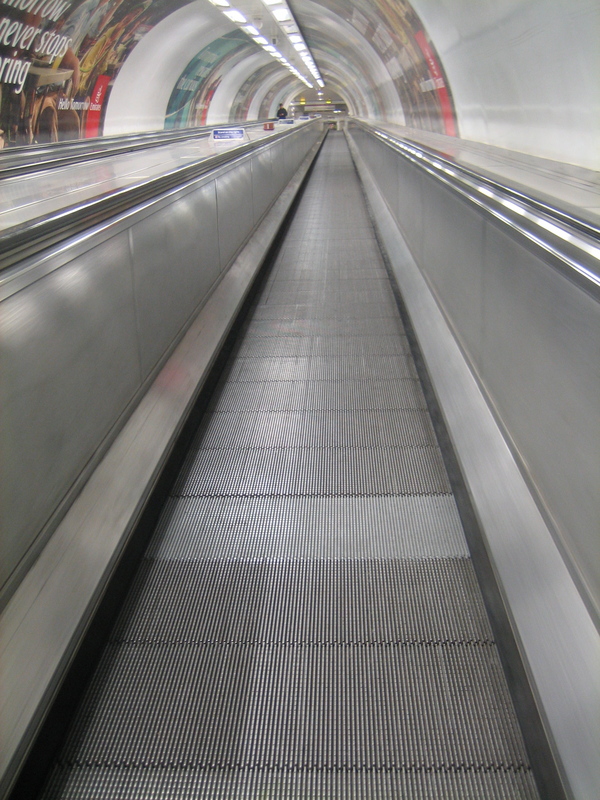 Moving walkways belong in the same category as jet packs, hot plates and those pneumatic plastic tubes used for whizzing documents around a large building. They are stabs at everyday futurism. They are snapshots of what the world of yesterday thought the world of tomorrow ought to look like. And they are uniformly fantastic. They can still cheer. This moving walkway is still a persuasive feat of imagination and innovation. And its status has been enriched with the passing of time, for what was once spoken of as becoming universal has ended up a rarity. Consequently it is of even more value than when it was first opened to the public in September 1960. 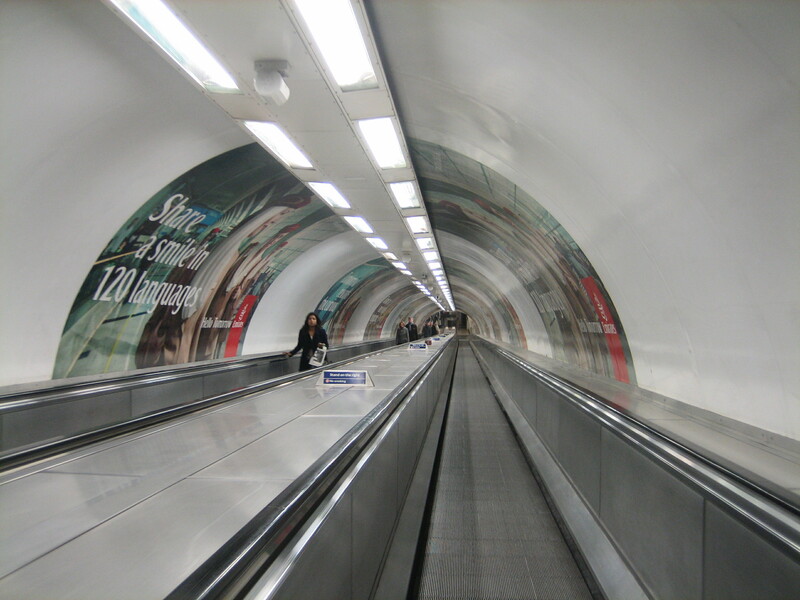 A ride on the travelator at Bank is to step, or rather to glide, back to a time when mechanisation was the great leap forward. When it was thought people would be impressed by talk of “488 segments of special aluminum”. When it was dazzling to contemplate something able to move “more than 13,000 passengers… in the peak hour”. Yet this is no relic that has outlived its usefulness or been neglected as the decades have fallen by. It is as relevant and as robust as it appeared to look in 1960. Plus it still feels futuristic, and therefore exciting, because it remains an oddity in a world in which, by now, they were meant to be commonplace. 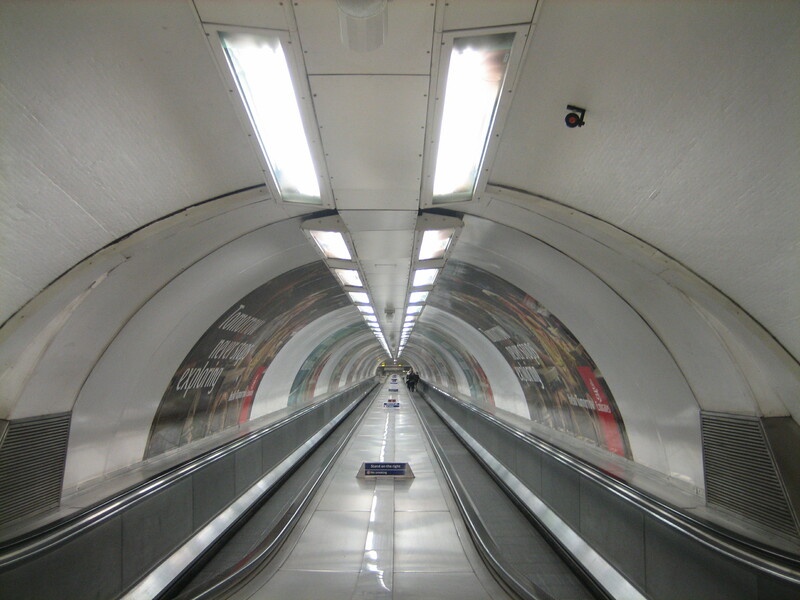 If only that April Fool’s Day article about replacing the entire Waterloo and City line with a travelator had been real. I remember the childhood excitement when I first went on this, it seemed to go on forever! People of the 1960s: Please remember to “Walk left, Stand right” when using the Travelator.